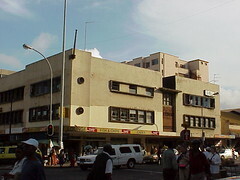 The Victory Lounge has been a landmark on this Durban corner, Grey and Victoria Streets, since 1946. 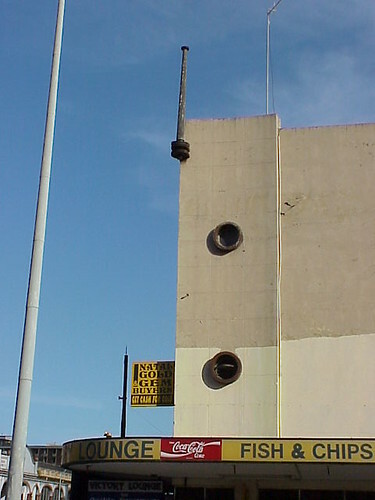 The building may have seen better days but it is great to see the original business still there. No prizes for picking the portholes and squat flagpole as my favourite parts. Maravilloso blog amo el arte deco este tipo de arquitectura! 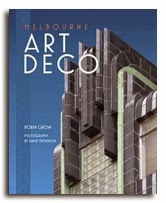 I hope to get to Argentina later in the year and see what Art Deco architecture Buenos Aries has to offer.